It all started when my mom returned from vegetable shopping one day and was expressing her frustration with the way prices have been going high. Especially this capsicum or Bell peppers as its popularly known. It was around INR 40 a kg. Fueled with this motivation, I biked to the seeds selling store and returned home with seeds of a cultivar called “California Wonder”. Seed starting procedure was as usual. Take a sterile seed starting mix. In small pot/pan sow the seeds in the moist media ( 1/16th of an inch deep). Slightly cover the seed with media. Cover the pan/pot with a polythene to preserve the humidity. Keep it in a bright place away from direct sunlight. Tada! thats all there is to it. In about a week’s time, you can see seedlings just peeking through the media. At this stage, they need good amount of sunlight and lack of sunlight will make the seedlings lanky. Once the seedlings has two true leaves, they can be transplanted into their final containers/ prepared bed. In my case it was containers that too a 3 litre container. The container mix is equal parts of cocopeat, vermicompost, sand. Regular watering and fertilizing is all you need to do for good results. You can see there are 4 good sized capsicums from that 3L container. Another view of the same plant. Plant with the container. The fibrous thing that you see near the root of the plant is “Moss”. I am not sure if it sphagnum moss or not. This moss is what you see wrapped around a stick and sold as stakes in garden stores for plant support. They are also called Moss sticks. Why I have put it in there?. This “Moss” doesnt decay that easily. Infact it stays the same for so long. So I started using it as a mulch to avoid water loss. I have 3 such pots and each of those containers have around 4-6 descent sized peppers. Not bad huh!? Love your veggie experiments and trials. Go, Go, gg! Thanks. They were sown exactly on 28 of Jan 2008. I must say they forgave me for my improper fertilizer regimen and lack of timely care. With the marriage processes that was going on then.. it was very difficult to tend to them. Now they are happy :). Come back to bangalore.. lets grow some amazing veggies ;). have been following your blog…commenting for the first time…i usually grow capsicums from the store bought capsicums…seeds that drop while chopping..cover them with soil..i am tempted to grow them in a pot after seeing yours. Glad to hear that you follow my blog regularly and thanks for the comment. I have a question, the store bought capsicums are not ripe and hence most of the seeds do not germinate. Are they ripe when you chop them?. Anyways.. Growing them in soil is actually much better than growing in pots. Yield wise you will get more. For me, all I have is pots and not an inch of land hence I grow my veggies in containers. Next I am planning to grow round radishes..
hmm…good question..my capsicums are not ripe. This is the same idea as dropping green chili seeds in soil. love the idea of growing my own veggies. will try n get back if i succeed. any tips are welcome. did u water daily? n what fertiliser did u use……… how often? Thanks for stopping by. 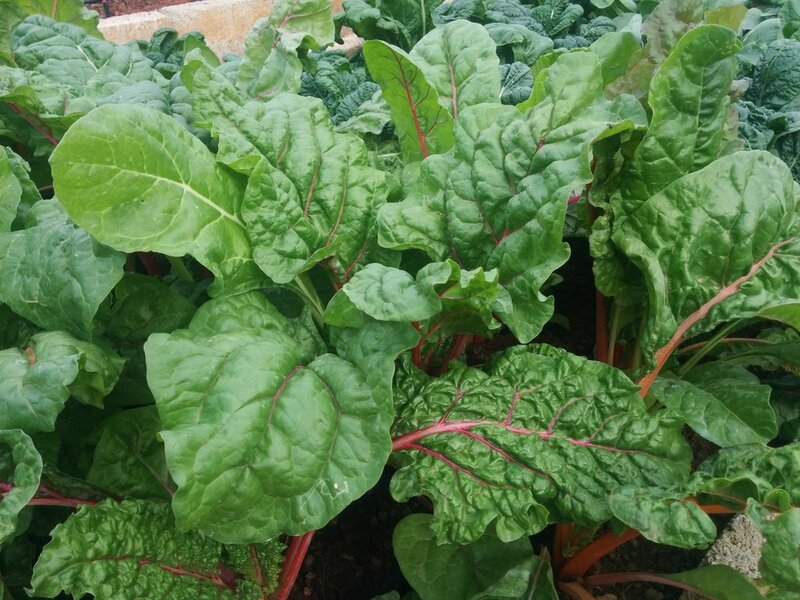 It sure is exciting when we grow our own veggies. I do water daily. I use organic and inorganic fertilizers for my plants. Frequency depends on the plant. Capsicum is a yummie fruit and i love eating it but im trying to grow some and its been 14days and none of the 7 i planted have grown why? Capsicum can sometimes be very tricky to germinate. Esp if the weather is colder it takes a little longer. Is the weather too cold? How old are the seeds? Apparently capsicum seeds need to be dried out before planting. maybe that’s why they haven’t started growing? I tried planting chilli seeds once, straight out of the chilli, they didn’t grow, but a year later two plants came up. Really nice to read all the happenings on CAPSICUMS,I am going to start these now. I just read few days back Capsicums are the sure relief for heart attacks and then maintaining healthy heart. so it becomes more important for us Indians to grow capsicums as much as possible. Thanks for sharing such a useful info. I wasn’t aware of that fact. Have been trawling your blog today after discovering it… awesome stuff! So one question before i consider embarking on capsicum, how often does it yield? I mean what frequency, so after I pluck the first crop, when’s the next? Capsicum yields continuously after 60 odd days from the date of transplanting. As and when the friut matures you can pluck it. I had bought capsicum seeds & planted them in a pot. Its been around a month now & the seeds have sprouted & have more than 4 leaves now. As you mentioned it should be transplanted at this stage, I want to know if I can grow the plant in the same pot itself? There are plenty of sprouts in it already.. around 10-15. Good to see others appreciating the soil. I have just transferred mine .I didn’t know there are transplanted that early. Yes you can grow them in a smaller container as well. The yield will be proportional. 20L gives them bigger root space. I had sown capsicum & tomato seeds in seedling trays. They germinated well but started to become lanky. Quite a few fell flat too. This happened in spite of there being enough sun light. Any way, I quickly transplanted the ‘remaining’ seedlings into individual plastic bags where they seem to be doing well. However, I still don’t understand the reason why the seedlings became lanky. Any idea or even guesses? Hello Satish, How is the soil/cocopeat temp..? I think too much warmth in the media can also cause seedlings to become lanky. I could be wrong in this. Do enlighten me if you happen to solve this. Can we grow capsicum in Rajasthan too? how many times capsicums grow on the same plant ? Capsicums grow in little cooler temperature. I am sure it can be grown in a climate controlled greenhouse in Rajasthan. In my greenhouse, I have harvested somewhere between 10-15 fruits per plant. It depends on variety, soil, temperature. May be one can get more if grown commercially. Regarding the lanky seedlings: the same has happened to me with Broccoli, Cabbage, Red Cabbage & Cauliflower. The first failure was while using Cocos-peat with leaf-mould. Next time I tried in soil with vermicompost. Same result with all the above-mentioned seeds!! I concluded that media was not the problem. I know the seeds are very high quality from different reputed companies. The failures remain a riddle! I have sown now for the third time in the same media as the first time. Even if I do succeed, I would still like to know the reason for what happened earlier. May be someone knows has had the same experience and has solved the problem. The tomato and capsicum seedlings I was able to save are doing fine after transplant. Hope I get at least as many fruits per plant as you did if not many more!! Please keep your fingers crossed! Are the seedlings surrounded by tall plants or something? How deep are you sowing the seeds? Do send a picture of the seedling tray/pot. Good to hear that your tomato and capsicum transplants are doing good. Wishing you a bountiful harvest from those plants :). Any suggestions on how to tend it hereafter? Should I remove some of the flowers? Some flowers do drop off themselves. 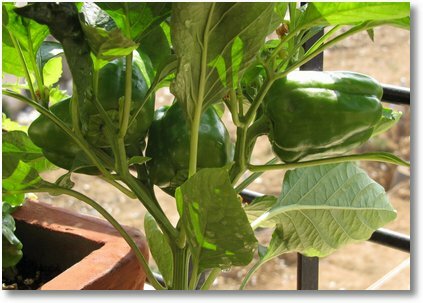 Any container that can hold above 10L can be used for growing capsicum. Paint buckets, Old buckets, Mineral water cans.. etc. Have been trying a bit of Vegetable gardening. But buying seeds is proving to be a huge problem. Can you tell me where to get seeds in Bangalore? In bangalore, you can get seeds in lalbagh. I also do seed sales for all vegetables. You can drop by / send a list which I can send by courier to you. 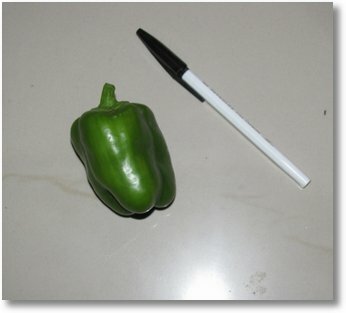 I came across your blog when I was searching for information on growing capsicum. I have sown few seeds of capsicum around 10 days back. But, till now they have not germinated. I live in Bangalore South and it has been raining regularly now. May be because of too much water, the seeds might not have germinated. I want to try again and before that I wanted to collect information and experiences from others. That’s how I came here. You have mentioned that you sell seeds. So, what all seeds do you sell? What is the price? Is there a catalog? I will be eager to hear from you. Seed starting seems to be the issue for many. There could be multiple reasons why you arent able to get them to germinate. My online store is getting ready at the momoent and we are coming up with variety of seeds and excellent guides to not only get you started but also to make you a pro! Interested? stay tuned. 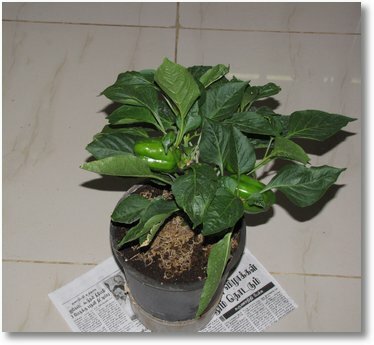 hi i would like to know if capsicum needs lot of sunlight and also does it need any support to climb. Am going to be planting Bell peppers tde…am excited looking at the pics posted!!! Can you please let me know where to buy vegetable seeds in Chennai ?. If you can help me in buying the seeds from Lalbagh and courier to me my address will be of great help and I can transfer the money to your account. Hi, I just made some (green) capsicum bhaji and saved the seeds – but do they need to be dried in the sun before planting? For how long? Am in Kolkata – capsicums are listed under April in your sowing chart for north India, but am not sure if it’s already too hot for them (high 30s celcius). Should I plant them where they get early morning sun rather than late afternoon? I am afraid you cannot germinate from fruits that are green(unripe). The peppers should be ripened on the plant to get good viable seeds. Planting them in morning sun is good. GG – How long from seed sowing did the plant start producing fruit? The lanky plants are probably due to not enough sun. The flowers falling off due to excessive heat. I grew them in the UK under glass so I would think that they should grow just about anywhere in India. I am currently growing some in Nepal and fruits have formed. Just hope that it doesn’t get too cold for them in the winter. In the UK they survived through the winter and I got a crop the next year as well. Not as productive, but got fruit earlier than with those sown the following spring. I planted some capsicum seeds( they were colored in pink I wonder whether it’s some kind of a chemical) in two medium pots with sieved sandy-compost pot mix 6 days back and I spray water morning and evening to keep the soil moist but not soggy and have placed them for good sunlight. I have had no success with Ratanshi’s red and yellow capsicum-is there any really simple way to germinate them? Can’t I just work with normal soil? 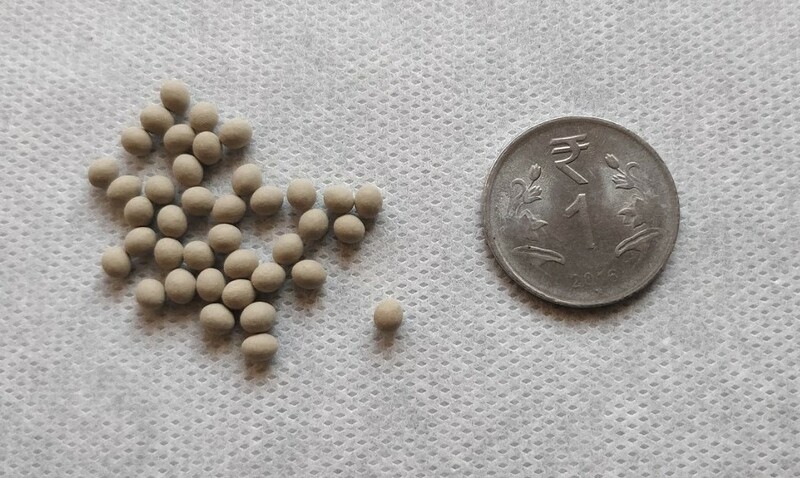 can you help me to get winged beans seeds for my home garden. i am unable to find it in mangalore my hometown. kindly help me to get and plant these winged beans. 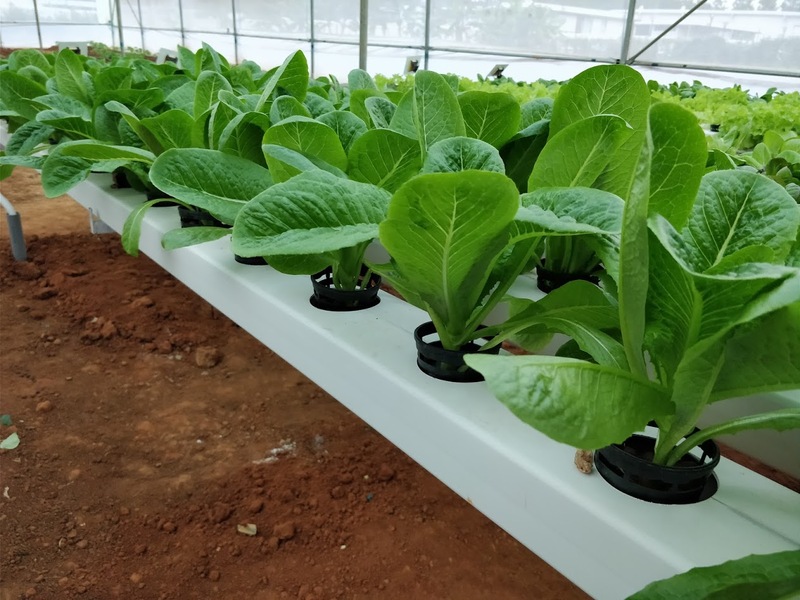 anyone successful in Hyderabad with hydroponics? how to get capsicum seeds? I have just bought capsicum seeds from market and have sown the seeds 4 days before.Here in winter weather is likely 12 C ,So how much time it will take to peek out of media or how much time I need to wait for this process. you are doing yeomen service to the nation. 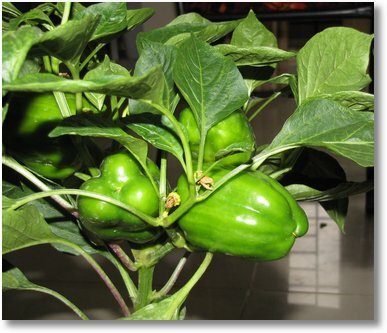 how long wil a capsicum plant surbiv in chennai? whatis the average harvest for eachw plant per month? do they produce fruot throughout the year? can i grow 4plants in a single pot? Kindly continue with the blog ! 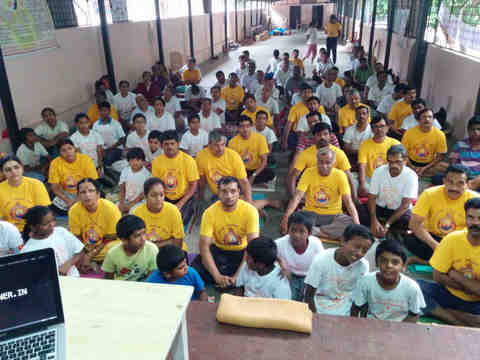 It is really informative and ‘Indian” – catering to our needs and situation ! Bravo ! Thanks ! The Temp in Salem is around 35-38 Deg in summer and I germinated the seeds( got from a capsicum bought from the super market) in a Paper towel. Had nearly 75% germination rate. Then I transplanted them in small plastic cups. All of them died after a month only 1 survived and Iam planning to plant it in my garden. I have sown beans, chilly, methi, brinjal, radish, beans, ladys finger 10 days ago in pots kept in shade on the terrace. So far, i can see only 2 inches of ladys finger plant grown and others are as it is. Please do tell me if i need to give any extra care. Also, pls clarify how long these vegetables usually require to give the yield. my capsicum plants are flowering but not yielding any capsicums…could you figure out the reason for this. Was doing a bit of gardening and was following you abt 3 years or so back After a long break I have restarted a terrace garden and a small land area strip in my home focussing on veggies now What is the experience with organic capsicum seeds esp with ref to pest attacks, nutrition etc. Are most posts on organic or hybrid seeds. The yield starts from day 90-100 for color capscium varieties. Sooner in green capsicum varieties. Yield can go upto 9-12 months depending the care. You got a great harvest? What size of pot do u recommend for california wonder. I have a 16 inches deep and 12 inches wide clay pot. I have been growing capsicums for long I get only 4 to 5 fruits per plant. Relatively small in size. For most crops, I suggest 12″ dia and 12″ deep pots. Works well. Fruit size is always the amount of fertilizer you provide and ofcourse the variety of the plant. Feed the plants with good compost weekly and also occasional dose of fertilizer such as 19-19-19. My capsicum plant has 4 pepper fruits but are medium sized and are not getting larger nor are they ready to harvest. Size of the fruit is a function of the nutrients the plants have. 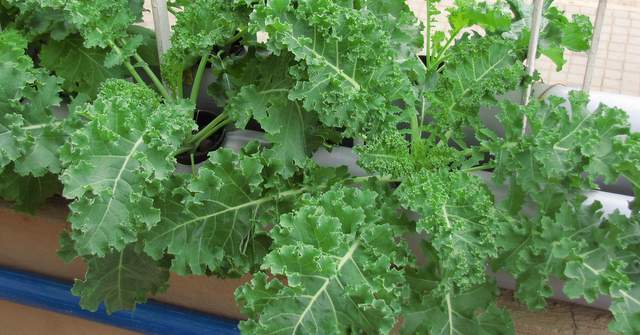 Are you feeding the plants with good fertilizer?